A fund established to provide for a child's education expenses. Life insurance can be used to provide this fund in the event of the premature death of the wage earner. Part of the Taxpayer Relief Act of 1997, that allows up to $500 to be set aside for a child's higher education beginning in 1998. Annual contributions are non-deductible for children under age 18, but the accumulation and withdrawal of funds are tax-free when used for qualified higher education expenses. The yield on a debt instrument calculated from the purchase price. The effective rate on a bond is determined by the price, coupon rate, time until maturity and time between interest payments. The date that the insurance coverage begins. Also known as Issue Date. In a disability income policy, this refers to the number of days, begining with the first day of the illness, before the insured becomes eligible for benefits. This period acts as a deductible. A fund established in financial planning that is designed to pay for emergencies following the death of a family member. A written agreement that is attached to a policy to add or subtract specific insurance provisions. A type of life insurance policy that pays upon the death of the insured within a covered period or at the end of the covered period if the individual is still alive. If the policyholder dies during the endowment period, a payment is made to a beneficiary. 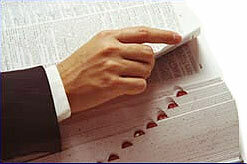 A document that is used to sign up employees for a group life insurance or other employee benefit. A form of Buy-Sell Agreement generally used by large partnerships whereby the partnership owns, pays premiums and is the beneficiary of life insurance plans on each partner. Upon the death of a partner, the partnership as an entity purchases the deceased partner's interest in the business. In general the difference between value of an asset and the corresponding liabilities. The stockholder's ownership interest in a company. A form of insurance that provides professionals with protection for negligent acts and/or omissions that result in damages to a client. The process of developing a plan that will increase and maintain the financial security of an individual and family by arranging for the conservation and transfer of one's wealth. A team of professionals that may include an attorney, an accountant, a life insurance agent, a trust officer and a financial planner often accomplishes this process. Proof to the company that the insured's life and/or health meets the company's requirements of a reasonable risk and/or class rating. The proof may range from a questionnaire on the application to a complete medical examination. The size of the policy and age of the insured are primary factors in determining what form of proof will be required. Also see underwriting. A section of a policy that describes the specific circumstances under which benefits will NOT be paid. A type of non-qualified pension plan where the corporation pays the premiums of a cash value life insurance policy that is owned as a personal asset of the executive. The cash value of the policy is used to accumulate cash for the executive's retirement. The death benefit is used to complete the funding in the event of premature death. An individual that is named by the deceased in the will to settle the estate. Also see administrator. A nonforfeiture provision that uses the cash value of a permanent life insurance policy as a single premium to purchase term insurance in an amount equal to the original policy. The length of the term policy will depend on the age of the insured and the amount of cash value available. The effect of this option is to extend the same coverage for a period of time when premiums on the original policy are discontinued. A dividend option that uses the policy dividends on a par policy to purchase a one-year term insurance policy. The amount of the additional coverage will depend on the size of the dividend and the age of the insured.